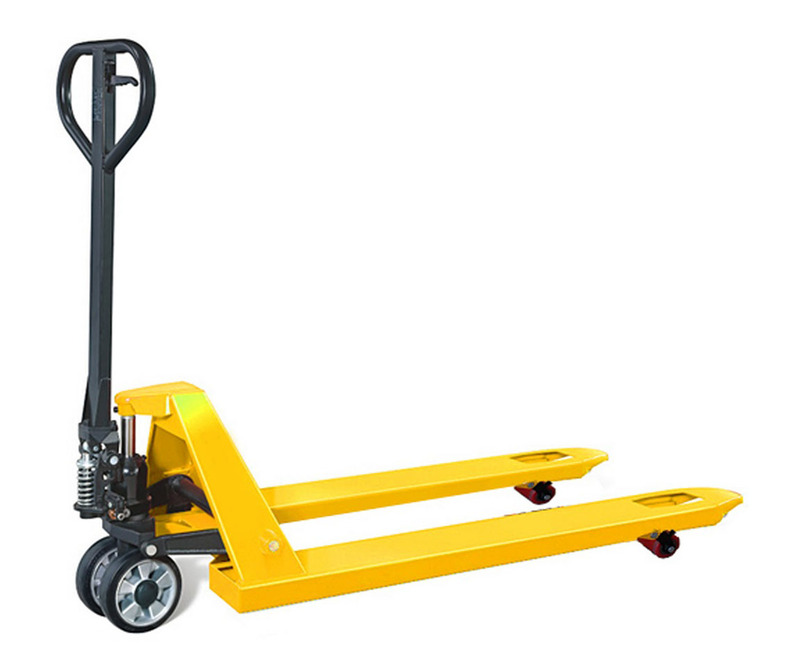 Pallet trucks (also known as pallet jacks), are the easiest and safest way to move palletised goods. Using simple hydraulics and your own body to supply forward motion, they can move a surprising amount of material easily and cheaply. Plus you don’t need a license to operate one, making them great for temporary, junior or contract staff to operate. We can deliver anywhere in Australia, with same day delivery available for metro Melbourne. Local pickup from 27 Scoresby Rd Bayswater Victoria is also available. For your convenience we offer a Melbourne based pallet truck hire service. The same great quality as our brand new pallet trucks, but with the simplicity of a hire service. Delivery to your door and return included (two person lift required on site to pick up pallet truck from courier vehicle).